While INCOTERMS® Rules clarify responsibility for various charges, they do not preside over loss or damaged goods cases. People who engage in international commerce should protect their freight through globally respected insurance carriers that will save them from a partial or total loss of their investment. Here are a few questions and answers about this important insurance. 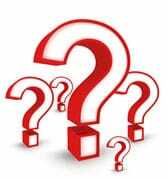 1) What is cargo insurance and do you have to have it? a. Cargo insurance protects the shipper’s products (toys, tractors, electronics, etc.) against loss and damage during international and domestic transport. b. You do not have to have cargo insurance. If you choose not to insure separately, there is a minimal international coverage that was set forth by the Warsaw Convention in 1929. It is $20/kg for international or domestic air cargo. Ocean freight coverage is $500 per bill of lading. If the value of your shipment is above either, then we highly recommend full coverage to protect your investment. 2) What cannot be insured under a standard insurance policy? Diamonds, gold, and cash cannot be insured under a standard cargo insurance policy. There are underwriters that may insure these products, like Lloyds of London, but these are separate policies. Loss of life and acts of God are not insured. 3) How much is Cargo Insurance and are there limits? a. It depends. What is the cargo? Where is it going? Who is the insurance carrier? The insurance underwriters for cargo have parameters just as insurance companies for homes, cars, etc. Call BGI 888-641-7053 for a quote and guidance. b. There are limits. 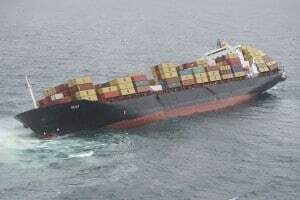 Maximum cargo insurance (also called Shipper’s Interest or All-Risk coverage) is 110% of the CIF Value (Commercial Invoice Value + Insurance + Freight) and will pay for the full value OF THE GOODS THAT ARE LOST OR DAMAGED. To compare: Damage to a ten-year-old Honda would not be reimbursed at a new Mercedes rate. 4) Where can I buy it? a. Your existing business insurance policy may completely cover you for all shipping property damage, or it may cover up to a certain amount. It is up to you, the shipper, to know the limits of all of your policies. Some companies buy “gap” insurance. That’s the difference between what their business insurance policy covers and the maximum allowed. IF YOU ALREADY HAVE SOME SHIPPING INSURANCE on your business policy, there’s no reason to pay twice. Equally, THERE IS NO REASON to underinsure. A loss is a loss. b. You can buy insurance policies from various companies that specialize in this type of insurance. 5) Who is best to buy from? a. The agent and company can make a difference in the same way that automobile and home insurance companies can vary. b. It is often good to buy from a reputable logistics company like BGI. Not only do they use solely A-rated insurers, but they can also offer special rates because of the volume of business they do with the insurance companies. c. The other advantage of buying from the logistics company is convenience. They’ll do the shopping for you, comparing companies and their rates for the type of shipping and the specific products you’re moving. d. Logistics companies with experience develop sensitivities toward risk. BGI insisted an artist insure his painting going overseas. When the painter balked, BGI found a workaround that made the insurance + shipping costs equal to the shipping costs alone from another quote. The piece of art had a forklift driven through it in a distant warehouse accident. Though there is no replacement for the artist’s work, at least the dollars were recouped. Choose the right insurance and the right logistics company to protect against loss. You’ll sleep better. Please: Call our offices 1-800-987-4244 for more information.